I visited Victoria Falls during the dry season when there was also a drought occurring. 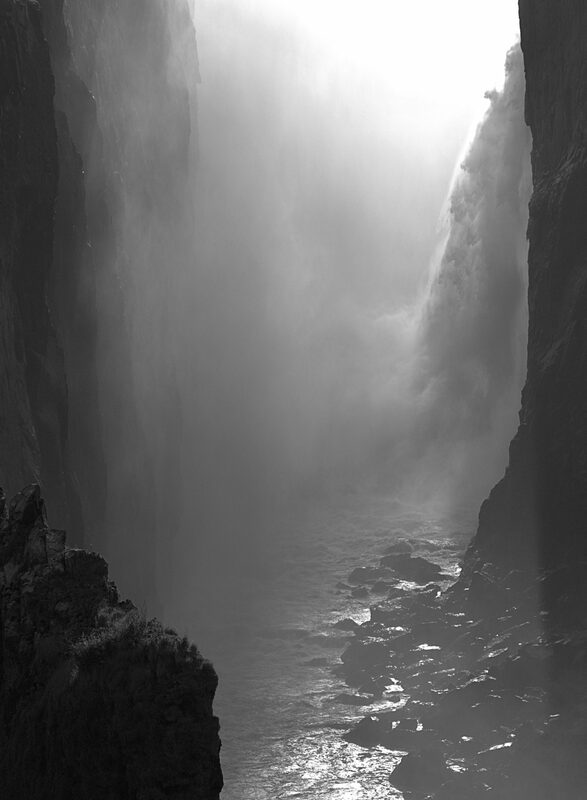 The water flow into the chasm was quite low, exposing much of the sheer rock walls on the Zambia side of the falls. I came late in the day as the setting sun back lit the falls, silhouetting the rock walls and highlighting the water and spray. However, I wasn't satisfied with the day's results so I came back late the next day to capture more images. The high contrasts between the dark rock and the white water and spray made for a black and white final image.